I couldn’t rip myself from TV coverage of the 10th anniversary recognition of September 11th. Like Memorial Day–even the Fourth of July–the significance of the day will no doubt eventually be forgotten by the majority of future generations. I had a client who scoffed at my suggestion that he partner with a museum because “it made our product seem old fashioned.” I wondered if he realized that 99.99 percent of it was inspired by classic patterns with roots hundreds if not thousands of years old. Honoring the people who died a decade ago isn’t history yet. It still falls under current events as the public continues to feel psychological and international ripples and family members suffer palpable loss that makes them cry while strangers join them. Elaine Siegel, a friend and PR guru, reads a lot: Non fiction exclusively. She suggested I might like “Citizens of London: The Americans Who Stood with Britain in Its Darkest, Finest Hour” by Lynne Olson. It takes place just before and during World War II and covers Edward R. Murrow who directed European news for CBS; Averell Harriman, who ran the Lend-Lease program and John Gilbert Winant, U.S. ambassador to Britain. I also recommend it not only because it is a good read; the back stories are chilling. It makes me shiver to imagine what goes on behind the scenes today. Given that technology moves at unprecedented speed the talk show host isn’t the only one to sneer at history. Is history relevant anymore? When do current events become history? Do people feel they have to have witnessed or lived through a situation to care about it? Did you watch any of the 9/11 coverage? This entry was posted on Monday, September 12th, 2011 at 2:42 pm	and is filed under History	. You can follow any responses to this entry through the RSS 2.0 feed. You can leave a response, or trackback from your own site. Every act, regardless of size, and importance of person who makes it, is history. The fact that smaller happenings are not recognized, changes nothing. No denying the severity of 9/11, and the national humiliation it caused. Worse yet, that under a misguided leadership, we failed to go after the real culprits. But what good can all the fanfare created on the tenth anniversary of this deplorable incident do? Recently saw a short, where Warsaw, totally destroyed by the Nazi occupation, rebuilt itself. It would have every right to stage an ongoing lament over the annihilation of its priceless architectural treasures, not to speak of loss of life. Instead of continuous wailing, however, it picked itself up, rebuilt, and is now a prosperous community. Let’s stop carrying on, follow suit, and perhaps manage to slaughter the Taliban along the way, so that nothing of the sort happens again. Poor Poland has been battered for so long that if the Poles commemorated every assault they would have time for nothing else. In fact, in the book I refer to in the post—”Citizens of London”–I learned that the Poles were the best spies before World War II. They had to excel given their location, sandwiched between the Germans and Russians. 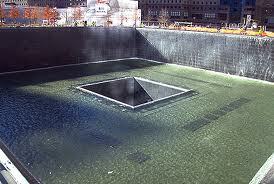 As you note, the Sept. 11 attack was particularly fierce, horrendous and humiliating and the first here by foreigners. As for the reason for the acknowledgment, in addition to honoring the victims and those brave souls who sacrificed their lives to try to save them, maybe the country feels it needs a communal hug. Is history relevant anymore or does the unprecedented speed of technology make it appear less so? History is neither relevant nor irrelevant. It happened in the past, and therefore, it is immutable. The very instant they happen. Do people feel they have to have witnessed or lived through a situation to care about it? No. I vividly recall hearing from my parents as a child about the needless utter destruction of Dresden, Germany by the Americans and British in 1945 after the Second World War had already been lost. Ten to twenty times the number of lives lost in New York on 11 September 2001 were then lost in Dresden. More importantly, the Americans and British destroyed a city of great beauty. All the Mohammedans destroyed were two ugly buildings, which are now being replaced by an even uglier one. Did you watch any of the 9/11 coverage? As little as I could get away with and yet remain politically correct. I believe that in the current Holy War between Christians and Islam, the bru-ha-ha about “9/11” only works to reinforce to the general belief among Mohammedans that Christians are weak, sentimental people who can be destroyed at lowest per capita expense through the subtle use of psychological warfare, which is all that the World Trade Center attacks were in reality. I agree that people don’t have to witness something to care about it. You point to Dresden, I to the Holocaust. I see photos of starving children all over the world and cringe. I hear of brutal murders and assassinations and shudder. While you might be right about the perception Moslems have of North Americans being weak 1) I think we lost far more than two buildings. We lost lives. Even one life would have been too much. 2) We also lost more than Christians…although perhaps Moslems think everyone in New York and Washington are Christians. I don’t know enough about what and how they think. Americans can be sloppy about their knowledge of foreigners so I wouldn’t be surprised. I did not watch the ceremony in New York for politically correct reasons. I can’t tell you why I watched but once I started, it was hard to turn off. It might be because the people left behind were incredibly unfortunate. Most lost loved ones far too soon and with no warning. Or maybe I needed to mourn the fact that people can be so brutal.